“Will this work for me and my application?” This is a common concern that many potential robotic users have every time they are introduced to new technology. Well, the same applies to robotic Offline Programming(OLP). Despite people seeing the immediate benefits of OLP, their recurring worry is that it won’t be applicable to their specific task. Since individual businesses are unique to their owners, it can be quite tasky to tell if a technology like OLP is going to be the best fit for them. However, while your business structure may be unique, there are still some similarities between your robot application and others, this is seen all the time. For this reason, OLP can be used for a plethora of robotic tasks. Here are a few things to help you understand robotic offline programming. Level of expertise – There are traditional types of offline programming that involve intricate robot software tools which are not easy to use. A good example of such are those ones used in the automotive industry. On the other hand, software such as RoboDK make it quite easy to program your robot offline and as a result you may end up needing much less expertise than you might have in the past. Functionality of the software used – Remember that not all software for offline programming are the same. Therefore, is you come across packages supplied by a particular robot manufacturer and is locked into their brand then don’t be shocked. Such software tend to have varying support for some tasks. Robot Model availability – It is essential to ensure that the robot model you intend to use is available for the offline programming software you’re using. Robot Compatibility – If you rely on manufacturer software then you might be in for a rude shock. This is because some don’t provide offline programming software. When does offline programming make sense? According to industry experts, robot downtime is a major impetus for OLP. This refers to the time required to manually program a machine point by point using teach pendant method. Also, there are the costs associated with the programmer labor as well as the robot’s downtime. When manually programming a machine on the teach pendant, an end user has to shut down production in order to program the part. However, using OLP allows you to run production at the same time while you’re programming your next two or more parts offline in the software thus making it more advantageous. Once you’re ready to start a new job, all you need to do is just switch over the program and then restart your production. OLP is best suited for applications such as additive manufacturing, laser cutting or cladding, welding, painting, deburring, trimming and thermal spraying. This is because these are path planning tasks that require a myriad of points. While applications such as palletizing or pick and place can be programmed using OLP software solutions, these are simple tasks and are least suited for this type of programming. One thing that makes potential OLP users to run in the opposite direction is the myth that offline programming requires specialized expertise since it is not only difficult to use but aslo too complicated. For this reason, suppliers of offline programming and simulation software have been working tirelessly to prove these assumptions wrong. They understand that for more people to adopt OLP, they have to make such systems easier to use. 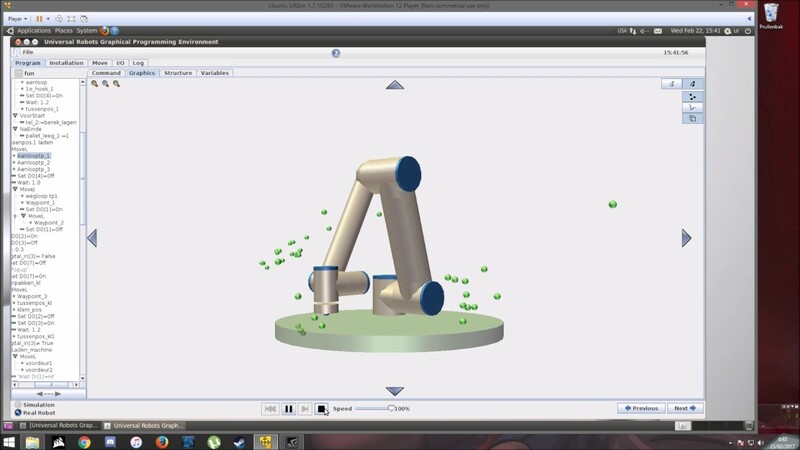 Robotic offline programming software has evolved in that it has become faster, smarter and more reliable and flexible. Therefore, we have reached a new era in ease of use of robotic systems and software.